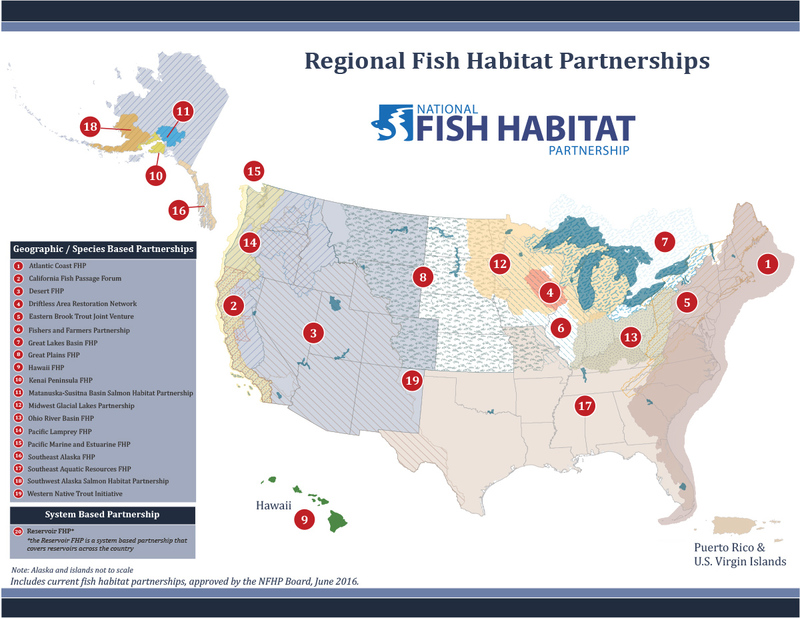 ACFHP is one of 20 Fish Habitat Partnerships (FHPs) under the auspices of the National Fish Habitat Partnership (NFHP). The NFHP is an unprecedented national effort to build and support strategic partnerships for fish habitat conservation. For more information on the National Fish Habitat Partnership, please visit their website. Read the Coastal FHP quarterly newsletters. View the Coastal FHP booklet.